Welcome to the SP Freight Cars Page. This page is designed to be a repository of info pertaining to freight cars of the SP and its subsidiaries (SSW, T&NO, ML&T, NWP, etc.) I have organized this page into several key pages. The first page deals with SP freight cars organized by class. To me, this is the most meaningful way to present this information and the easiest to follow. Most freight car historians consider class designation equally as important as road number. The next page is a listing of cars by type. This is the way most modelers will tend to think of cars. This listing may be more useful to those who are more interrested in capturing the feel of say an SP 40' boxcar instead of a particular class such as a B-70-64. A series of roster pages based on ORER entries is presented next. This can be very useful to someone who, like me, is interrested in modeling a particular era. You can easily glance at these pages to see which cars and in what relative quantities were in service during a particular year. This will grow as my access to ORER's grows. Fleet statistics are also treated to some degree. If you have any info in the form of photos, ORER's, model hints, etc, please send this info to me so that we may share it with other SP freight car fans. 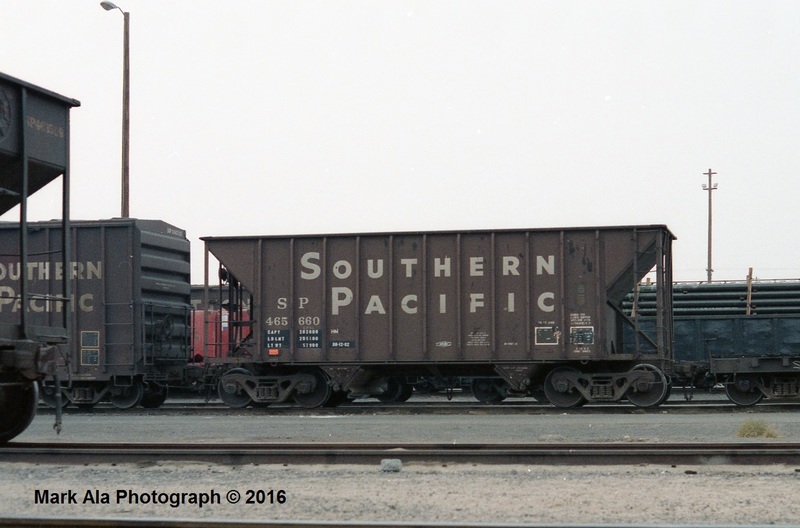 SP Freight Cars - Vol. V now available! SP Leased Freight Cars - NEW!